Last June my sister and I found out that we would have the opportunity to go to Greece in April 2012. It had been on the wish list of places to go. But now it was reality. One of the first things we did was look at pictures and videos online. This video, from the Greek tourist board, took us there. We wanted to be the "beautiful people" who go on holiday in Greece. In the next few weeks, I'll continue to add posts and pictures about our trip. Part of being on vacation, for me, is taking a break from constant technology. And now I can revisit the experience, stretching my vacation mentality on, even though I've returned to reality. I hope you enjoy your virtual vacation. Along with some of our other travelers we have a plan..."Next time, in Santorini" (more to come on why). It's time. 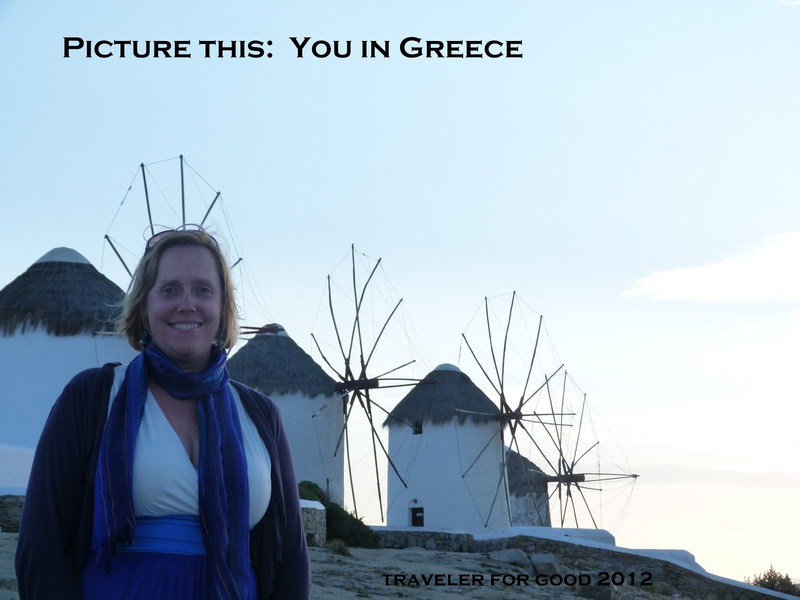 Picture yourself in Greece.